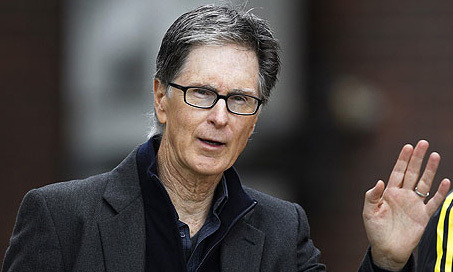 On Monday morning, fresh from their 2-0 reverse at home against Arsenal, the man at the helm of Liverpool FC, John W Henry, penned an open letter to his club’s fans. He addressed supporters who have become somewhat disillusioned with the owners’ vision following the club’s transfer dealing debacle late last week. The owners reiterated their stance that getting Liverpool back to its glory days is a work-in-progress and a lengthy one at that. Clearly, £35m record signing Andy Carroll, has not worked out as planned and does not fit into new manager Brendan Rodgers plans. As such, a move to West Ham was sanctioned. However, this was done on the basis that Fulham’s Clint Dempsey or Chelsea’s Daniel Sturridge would be joining the famous Merseyside club. Neither move materialised before the transfer window closed meaning that Liverpool are now extremely lightweight upfront for the next four months. It seems that a loan for Sturridge was never likely to occur, but the transfer of Dempsey was seemingly only a matter of time, with the American marginally stopping short of sleeping rough outside the Anfield gates in anticipation of his pending transfer. However, on deadline day, Aston Villa surprisingly threw their hat into the ring by agreeing a fee with Fulham for the 29 year-old’s services. Unsurprisingly, Dempsey turned down a move to the Midlands club even before any negotiations took place. In light of this, journalists were busy scribing their articles for the next day’s papers on his sure-fire move to Liverpool but as the deadline loomed closer and closer, the right noises could not be heard at Anfield. Reportedly, £3-4m bids with Jordan Henderson thrown in – like a shammy leather as part of a car dealership package – were flatly rejected by Fulham. Meanwhile across the capital, Spurs’ contingency plans kicked in after their unsuccessful pursuit of Shakhtar Donetsk’s Willian. In addition, although Spurs agreed a record £22m fee with Porto for Joao Moutinho, talks between the player and his prospective new employers broke down over personal terms. At that point, Spurs submitted a £6m bid for Dempsey – an offer which was accepted without hesitation. Suddenly, eyebrows were raised and before anyone could say ‘they haven’t, have they?’ Dempsey was spotted at Spurs’ training ground with half an hour before the deadline slammed shut. That was that. Certainly a bitter pill for Liverpool to swallow, especially after losing out on Gyfli Sigurdsson to Spurs earlier in the summer. 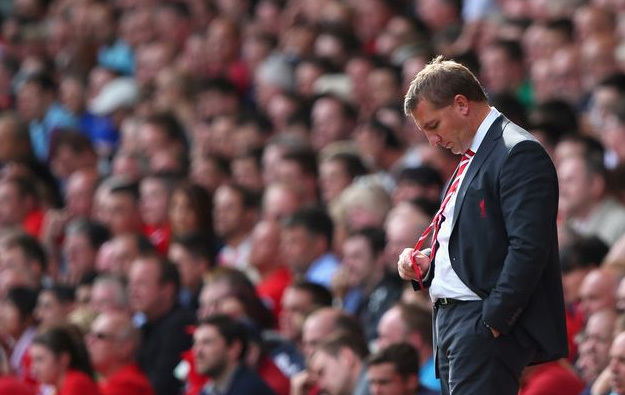 Liverpool, though, only have themselves to blame. 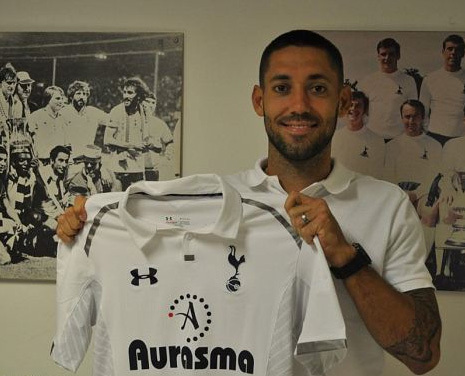 £6m cash, by today’s football standards, is a modest sum and regardless of Dempsey’s “I’m delighted to the playing under this Head Coach” statement upon signing for Spurs, everyone knows that Liverpool was his preferred destination. So back to the initial point, in response to the media’s criticism following Liverpool’s lacklustre home defeat to Arsenal, John W Henry released a statement covering several points but namely re-affirming his support of Brendan Rodgers, his vision and how Liverpool will not be allowed to slip back into financial obscurity (how he claims he inherited the club back in October 2010) on his watch. 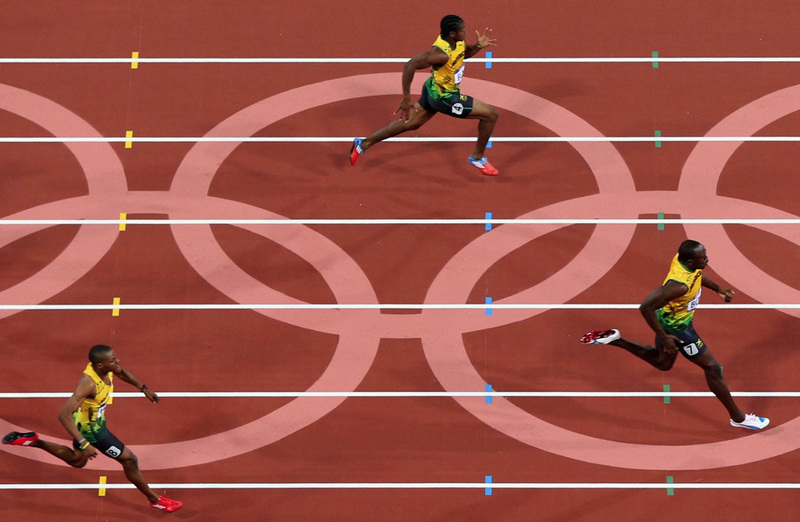 In one particular point Henry wrote, “Spending is not merely about buying talent. Our ambitions do not lie in cementing a mid-table place with expensive, short-term quick fixes that will only contribute for a couple of years.” Does Henry suggest that paying £2-3m more than they aimed to for Dempsey would have represented a bad business decision? If so, two points: One, he may want to have a word with Malcolm Glazer, who gave the green light for the £24m purchase of Robin Van Persie (same age as Dempsey), who has already found the next four times in his last two games for Manchester United. I realise that that’s a short-term point but until there’s evidence to prove to the contrary, it will be a valid reference point. Two, if Liverpool are building for the future, why did they offer 22 year-old Henderson as a make-weight when he was purchased for £16m only one summer ago? Andy Carroll? Say no more. Brendan Rodgers, for his part, was understandably frustrated in Liverpool’s inability to bring in a replacement for Carroll. When he addressed the media, Rodgers was asked if he would have let Carroll go if he knew a new signing would not be coming into the club? Answer: “No.” Was he confident of a new signing? Answer: “Very.” Henry also addressed this in his letter, “it is unfortunate that on this occasion we were unable to conclude acceptable deals to bring those targets in.” Very reassuring for Rodgers, who now picks up the pieces of someone else’s mess and has to make the most of a bad situation. There is short-term a solution for Liverpool. A gamble, actually, rather than a solution. Michael Owen. Released by their fierce rivals Manchester United, Owen is a free agent and can therefore move to a new club outside of the transfer window. He craves one last hurrah in the Premiership. He is a shadow of the boy-wonder who effortlessly terrorised defences back in day, mainly due to a sorry catalogue of injuries which he has suffered for over half a decade now. Furthermore, it remains to be seen whether the Anfield faithful would welcome back a ‘traitor’, but maybe, he could provide the missing spark that is required. Obviously, the move would not follow Henry’s vision, but as things currently stand, there is distinctly little choice. On the plus side it must be noted, and applauded, that Liverpool fans, as dismayed as they might be, are behind the manager and fully support their team. Unfortunately the same cannot be said for Spurs who probably have the most whinging fans in the Premiership. At full-time on Saturday at White Hart Lane, the boos inexplicably rang out after Norwich had deservedly snatched a late equaliser. 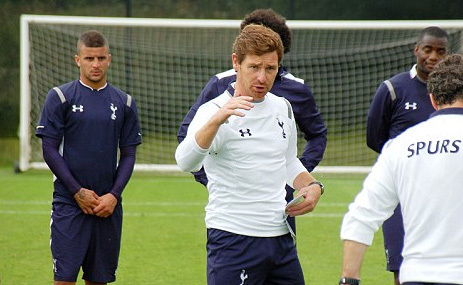 The boos were aimed at new coach Andre Villas-Boas. Still winless in three games, the Portuguese came under fire for substituting the lively Jermain Defoe for Tom Huddlestone, in an attempt to shore up the Spurs midfield when the Lillywhites were 1-0 up with less than ten minutes to play. The move failed and anger was vented at the young manager. Damned if you do, damned if you don’t. These fickle lot had conveniently forgotten that in the previous two games of this season, away to Newcastle and home to West Brom, Spurs played with their trademark swagger and were unlucky in both games not to take maximum points. Furthermore, this time last year, Spurs were still pulling their pants up after both Manchester clubs spanked them silly, resulting in nul points and an embarrassing goal difference of minus seven. Back then, the club was rudderless. However, signings were made, futures were resolved and the club went on to a fantastic 23 game run, with flickers of championship-winning performances along the way. Since then, Harry Redknapp has gone, Ledley King retired, Luka Modric moved to Spain and Rafael Van Der Vaart returned to Hamburg. King’s and Modric’s futures were expected but it was a surprise to see Spurs sell Rafael Van Der Vaart so late in the transfer window. The signing of Dempsey has been met with mixed responses. Whilst he lacks the Dutchman’s technical excellence and flair, the American is considerably more regimented than the free-spirited Van Der Vaart and has scored 36 goals in the last two seasons which makes him a more than capable fit in Villas-Boas’ preferred 4-3-3 system. With ex-club mate Moussa Dembele making an instant impression of scoring on his debut at the weekend, the pair should combine well at Spurs. They have been purchased in addition to Gyfil Sigurdsson and reigning Eredivisie player of the year, Jan Vertonghen, whilst Spurs have also signed French national team captain and goalkeeper Hugo Lloris from Lyon. All those who shed a bitter tear at Redknapp’s departure must understand that Spurs are in the process of being overhauled. Patience is key. The coach must be given time – otherwise it is going to be a season to forget for Tottenham Hotspur.